Bluegogo is number three in the overhyped bike-sharing market in China. Or by now more accurate: was number three. An analysis of how this kind or markets work, and why it was inevitable that Bluegogo would be one of the survivors. The market developments in the bike-sharing closely mimic those in the ride-sharing market several years earlier. It also has resemblances of the dotcom bubble from the start of this millennium. Out of the blue, there are numerous companies that provide a new product or service that was non-existing before but reaches a high level of adoption in a short amount of time. It is a complete blue ocean. lowers the overhead and development cost – after all, the upfront development cost of the technology and platform are fairly flat, whether one thousand people use it or ten million. But for these markets, the cost side is not the deciding factor. A scale is needed to get and keep users. Users have very low switching costs and only moderate levels of loyalty. So once they arrive in a part of town where your bikes are not present, they easily switch to the competitor who is there. And why would they switch back, when the competitor is all around? Therefore it is crucial for these firms to expand their presence as fast as possible to as many locations as possible. And that is expensive. Hence only a few can actually raise enough capital and scale to a level that they have a fair shot at becoming the winner. Mobike and Ofo have understood this very well. Mobike even more than Ofo, as it equipped its bikes with GPS from day 1 – providing valuable insights in usage time and location. The bikes of Mobike and Ofo are of less quality than those of Bluegogo, but for users, that has proven to be irrelevant. Now, Bluegogo will handover its technical operations to another, a smaller player in the same space. 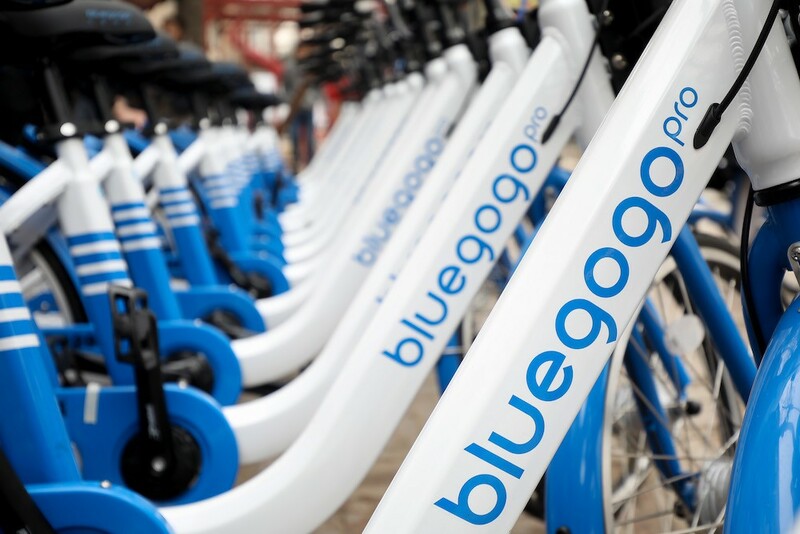 So the idea is that users can keep using the app and the bikes – but assuming there is no more new bikes and no more maintenance, it will not be for long until Bluegogo has disappeared from the streets completely. These markets are blue oceans that turn red oceans in no time. From an investor point of view, these markets can provide great returns if and only if you are invested in one of the winners. As a CFO, I do not understand why so many investors have poured millions of USD in smaller bike-sharing without any unique diversifier, or any other indication that they have even the slightest chance of emerging as one of the potential winners.